Small town Pentwater is an excellent rural destination in Michigan, and the region offers a slower pace and some great local attractions and amusements – perfect day trips for kids and adults alike. AJ's Family Fun Center offers a winding go kart track, miniature golf, arcade game room, playground, and a large covered picnic pavilion. A family-owned dairy, restaurant, and attraction south of Pentwater - food, ice cream, farm store, & tours. A great day trip! A day of fun awaits on the farm - over 75 unique animals to meet in the petting zoo, and home-grown goodness to shop in the farm market & bakery. Happy Mohawk Canoe Livery has provided canoeing, kayaking, tubing and rafting adventures on the White River since 1963. 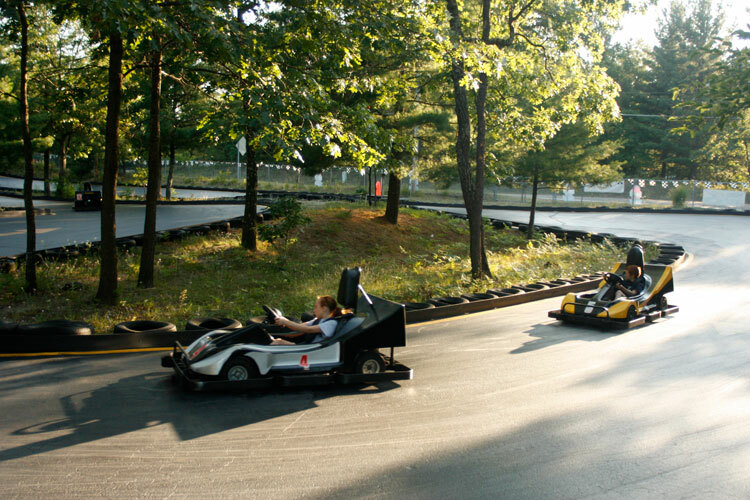 A world of fun - go carts, slick track, mini golf, video arcade, zipline, and bumper boats... in nearby Silver Lake.